We are a small business, and often we get emails asking the same questions about attending the school, and I am not often found sitting at my desk because I am either teaching, baking or filming so we’ve added the answer to the things people most often ask us about attending a course here in the frequently asked questions below. Simply click on the question to read the answer. At the moment Vanessa teaches exclusively at The Sourdough School. There are many reasons for this. At the school we have everything set up to deliver the level and standard of courses that are expected. The classroom space we use has been specially designed to accommodate our students and allow Vanessa to teach in a comfortable and welcoming environment. Having lived in the area for many years, Vanessa has long established connections with the local farmers and producers. This is reflected in the samples that she gives to students on the course, and the incredible lunches provided, which are made with locally sourced food (some of it from Vanessa’s own garden). 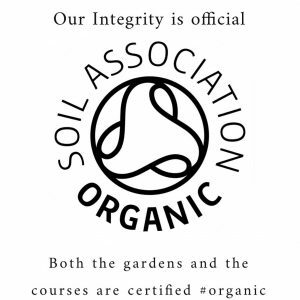 The school is also certified organic. So everything that we use here has been selected very carefully to be a part of the teaching experience. And, of course, Vanessa is a mother to three children and a wife. Teaching from her home give her the flexibility to fit the work she loves around her family life. Vanessa does occasionally speak at international conferences on the subject of nutrition and digestibility. If you would like to discuss the possibility of Vanessa speaking at an event, please get in contact via the school's commercial director (Alastair@sourdough.co.uk) to check availability and costs. It’s also important to remember that when asking Vanessa to attend you will need to be able to cover flights, accommodation, transport and a speaker’s fee. Do you post your book internationally? Yes, we can send The Sourdough School book to international students. Our online shop is managed by the lovely people at Bakery Bits who are all set up to send products around the world. If you are ordering from overseas, please ensure you provide a contact telephone number because this is required by the delivery companies. Can you recommend somewhere to eat in the evening? You will be quite tired and sometimes quite full a the end of each day, and you are most welcome to take home some of the leftovers from lunch, however it is also lovely to go out in the evening, and there are lots of amazing places to eat. And because they are so good, we would always suggest that you book in advance to avoid disappointment. With oak beams, flagstone floors and a roaring log fire, The Althorp Coaching Inn is all you would expect from a traditional village pub. This 16th century coaching inn, just 7 miles from the school, is a listed stone and thatch building. It has a courtyard, an enclosed garden and a beautiful, vintage-style barn. The inn specialises in quality British food, real ales and fine wines. The menu ranges from bar meals to classic restaurant dishes, made from locally sourced ingredients wherever possible. The Griffin Inn is a proper village pub, and at the centre of our village community. A selection of local ales are served along-side delicious home-cooked pub favorites – they have a steak menu, chef’s specials boards, light lunch options, and then there’s the chef’s legendary traditional Sunday roast. Travel past Pitsford Water from the Sourdough School and you will arrive in Old, a small village with The White Horse at the centre. The seasonal menu offers a range of delicious dishes, with daily specials and plenty of choice for vegetarians. There are also artisan pizzas, baked in an outdoor wood-fired oven. Many of the dishes can be served in child sized portions for younger diners. The pub stocks a good range of craft beers and heritage ciders too. Check their website for details of the monthly quiz nights and live music. 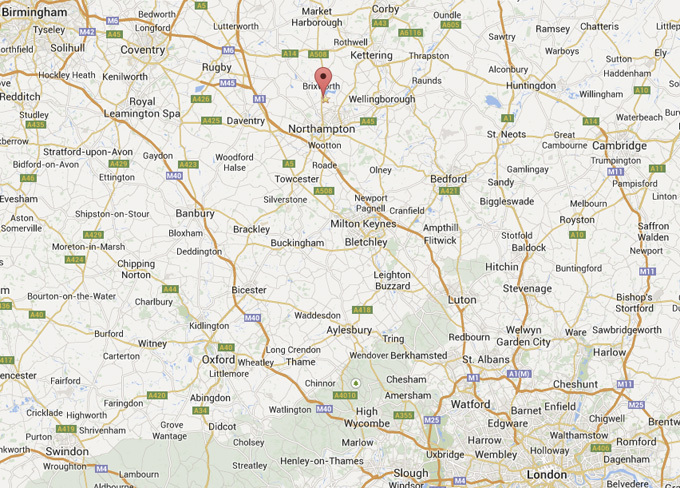 A cosy thatched pub in a peaceful, idyllic village surrounded by picturesque Northamptonshire countryside. The Red Lion specialises in serving great British food, cooked using local seasonal produce. The pub has an intimate lounge, a large dining room and manicured gardens, and is just 6 miles from The Sourdough School. The Artichoke is one of the closest pubs to the school. It specialises in food cooked using quality, local ingredients. Their meat is sourced from the local butcher’s, sausages from Mike’s pigs of Moulton, and the vegetables are delivered daily. This Grade II listed building dates back to 1680 and the owners think it was originally a farmhouse and village inn. It has a lovey, private and dog-friendly garden with plenty of seating for guests. There is regular live entertainment, including quizzes, jazz nights and fold nights. How do I get to take part in your Research Courses? Next year I'll be beginning a new and exciting project here at The Sourdough School. I’m doing a Masters in Research which will form the basis for my PhD in Nutrition & digestion of Bread. This is research, in the form of dietary intervention studies, will contribute significantly to the growing discussion about how the fermentation process in producing bread is significant in it's effect on microbial population, diversity and supporting a healthy gut micobiome. All the studies so far have been carried on in vitro or in mice. This is the real deal. We are looking at how sourdough affect the human gut microbiome, and what changes occur when you ferment your bread. Why deliver the course online? Firstly due to the fact that so many people have already expressed an interest from all over the world we didn't feel i t was fair to have to restrict this to just local participants. Sourdough is a bread baked internationally. Secondly the cost of the taking part is significantly lower. Lastly we can include more people in the research, so the results are more reliable. How is the course and the tests delivered? It is two parts. You get a home study pack delivered directly to your door, with everything you need in the pack and you follow the step by step online tutorials online. Each group be asked to bake a specific delicious and nutritious sourdough bread at home for an allocated length of time and you will be the first to find out the results of your gut microbial analysis, any changes and the implications. Why do we have to pay to participate? This is still a course, and delivered in the same way as the ones we teach normally. This is just a very special course, that becomes part of a research study. The tests themselves are very expensive, although they are totally FREE to the participants, we feel that a mutual commitment is needed, and this is quite a commitment, involving baking and bread over several months. You will learn to make a specific bread that will have all the techniques needed to make amazing sourdough. You will have the results and feedback of your gut microbial composition and find out how it is affected by eating sourdough. You will be participating in research that will change the way we understand sourdough and our health. It's cutting edge research into one of our most important foods. We will share our knowledge in terms that can be understood by everyone. Everyone's results will be confidential and you will be given a number, rather than be identified by name. However you can enjoy participating in the discussion of the study on social media. It is not a secret, but we are obliged to keep individuals makes and results anonymous. You of course can share your participation - that is up to you. There are a limited number of places to participate in The Masters in Research course, and anticipate initially that each group with have between 20 - 30 participants. Each student will need to agree to give basic health details (weight, blood pressure, etc.) about themselves and send in samples regularly for a gut microbe analysis . The fruit project will be looking at comparing the gut microbiome before and after baking and eating sourdough. Will there be any more Sourdough Sisters? Our intention is to run Sourdough Sisters as an annual event. The applications for next year will open in early 2019, and the course will run in summer 2019. Unfortunately, we are not able to run these courses abroad. Vanessa teaches exclusively at The Sourdough School, because this is where all her resources are, and where her organic certification and insurance are valid. Should you wish to apply for the next Sourdough Sisters please sign up for our newsletter and we will send more information as soon as it is available. I’m often contacted by people looking for advice about gluten allergies or intolerance. My first response is always that if you suspect you may have a gluten allergy or may be coeliac, you must see a GP to get a diagnosis. Although I have spent many years researching the digestibility of sourdough, I am not qualified to diagnose any of the medical conditions which can cause symptoms similar to gluten allergy. There are numerous reasons why people have digestive malaise when eating bread, but we do know that many people find that they can eat sourdough without any issues. Gluten intolerances and allergies are widely blamed for symptoms such as bloating, constipation and other digestive discomfort. In some cases rather than gluten, it is a range of naturally occurring sugars (known as FODMAPS) that are the root of the problem. There are also suggestions that the modern, industrial bread making process has led to the rise in people adopting a gluten free diet. Many people find sourdough easier to digest, and that they can eat it without experiencing any discomfort. One of the most debilitating conditions associated with wheat is coeliac disease, an auto-immune condition triggered by gliadin, a component of gluten. Although there is some initial evidence suggesting that sourdough might be suitable for coeliacs to eat, this evidence was a small trial and gathered under medical supervision, which is very different from buying a lao from a bakery or baking your own. I do not recommend people with coeliac disease to eat sourdough, because it’s not possible to guarantee that the gluten is broken down sufficiently to that loaf is free from raw flour, which may be on the outside of the loaf and may trigger a reaction. There are gluten free sourdough's made with rice flour or potato flour, but this is not an area I work in at present. We do not teach anyone who is coeliac to make sourdough. If you want to come to come on one of our courses, but think you may have a gluten allergy, please talk with your doctor first. You will get much more from the course if you have a diagnosis. Different conditions can be approached in different ways, and I can teach you the best fermentation technique and recommend the best flour choice for your specific condition. The most important thing is to address the issue of a potential allergy or other medical condition before you book a course. Allergic reactions are very rare, but can be serious. If you have an immune response that comes to light during the course, we will ask you to seek advice from a doctor before you can continue. Which flours do you recommend? I have written an article which looks at the choice of flour for sourdough baking. In it I talk about how grain variety, grain quality, and milling all affect the properties of a flour. We regularly use flour from Marriages, Doves Farm and Gilchesters Organics here at the school. Each of these mills offers a range of flours suitable for bread baking. You can buy them through Bakery Bits, and some of these flours are available in supermarkets and independent grocery stores. We also recommend using Farine de Gruau T45 from Foricher flour for refreshing a white sourdough starter… in fact, we provide a bag of this flour as part of our White Sourdough Starter Kit. The important thing to remember in choosing a flour is to take time to become familiar with it. Bake regularly with the same flour and keep records of your bakes. This way you will soon learn how best to use each flour and which ones suit your baking style. We often get asked if we are able to offer work experience here at The Sourdough School. Unfortunately we have to say no. We’re a small school, and because of fire regulations are only able to have a limited number of people in the kitchen at any one time. The classes we run are almost always fully booked which means, once you add in the tutors, we are at capacity. Of course, we very much welcome people coming here to learn to make sourdough, but I’m afraid we really do have to limit it to students who book on a course. Saying that, do ask around. I began my baking career volunteering in a small French bakery. So I would advise anyone looking for work experience that it’s definitely worth persevering. One of my recommendations for people who want work experience in baking sourdough is to ask at your local bakery – there’s often much more practice to be had in a bakery where they are making hundreds of loaves every day. Just keep asking… that’s how I got my first work experience. Having started my baking career with work experience, I would really encourage anyone to do this. But unfortunately we just cannot accommodate volunteers here. 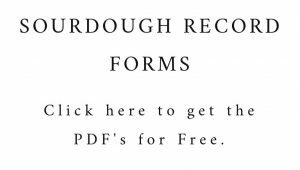 How do I subscribe to The Sourdough School newsletter? 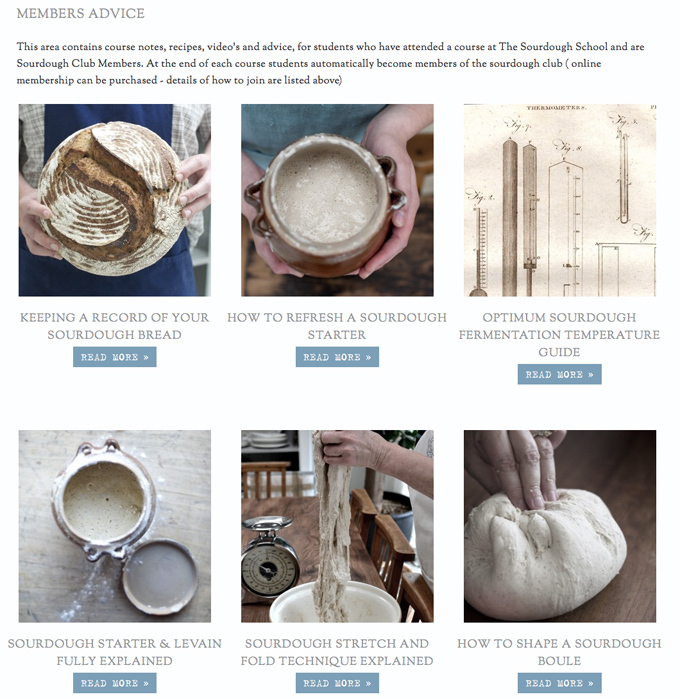 Our newsletter is a great way to find out about the latest happenings and offers at The Sourdough School, and is packed with recipes and baking tips. It’s also the best way to find out about new courses as soon as they are opened for booking. You can add your email in the ‘Subscribe Here’ page. Simply enter your email address, click the button and you’re subscribed, and you will the first to know about what we are up to. For students who are unable to attend a sourdough course at The Sourdough School, you can book a private tutoring session with Vanessa and full access to the class notes. We have three very special online options. Each of these involves a one to one Skype session with Vanessa to get you going, access to detailed online information and a private Facebook forum, and a further Skype session to review how you are getting along and resolve any problems. The Beginners Sourdough Tutoring gives you online access to all the information you need to start baking great sourdough. A Sourdough Clinic Session is suitable for more experienced bakers who aren’t getting the results they want and maybe have some specific questions they need answers to. 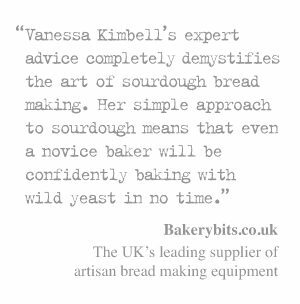 The Nutrition & Digestibility Consultation is a chance for bakers who feel they have issues digesting bread to talk with Vanessa about how and why slow fermented sourdough may help. This course also includes online access to all the information you need to learn how to bake beautiful sourdough bread. Each of the online courses offers lots of information and support. In addition, you will receive a free sourdough starter with full instructions on how to maintain it. Can I buy sourdough starter? You can buy some of the sourdough starter we use here at the school through our online shop. We recommend the White Sourdough Starter Kit, which contains all the information you need to keep your new starter active and healthy. The sourdough starter is carefully nurtured here at The Sourdough School, and we make sure it is sent out in peak condition. Starters are sent out twice a month, and advise that they should be refreshed as soon as they arrive. Where can I get your Sourdough School book? 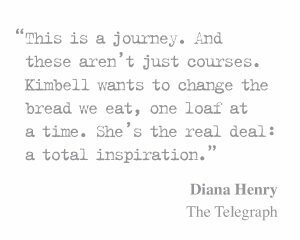 You can order a signed copy of the Sourdough School book through our online shop. Can you sign my book personally for me? 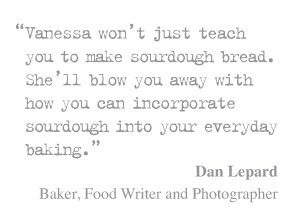 We are really sorry but at this point in time it just isn’t possible for Vanessa to write a personal dedication when you buy a copy of The Sourdough School book. Due to the volume of books sold, the books are signed and sent in the distribution warehouse so we can send them all over the world. There is no system to allocate an individual book, and Vanessa's work commitments simply don't give her the time to sign, wrap, and take individual books to the post office, but you can buy a signed copy through our online shop. If you sign up to our mailing list we will let you know when Vanessa is doing a book signing though. We are looking into ways to include individual dedications, but for now the only way Vanessa can sign your book in person is if you book a course. Is The Sourdough School book available in any other languages? Yes, the book has been published in German, Italian, Croatian and Spanish. There will be a US edition published in September 2018. For anyone who is struggling to get the book in their language, I’m sure there will be more editions coming out. But for now these are the languages it is available in, generally you will find this on the amazon listing in the country of publication, however you might need to search under the name Vanessa Kimbell as the title will have been translated. Do I get a certificate when I attend a course? Yes. Each student receives a personalised, signed certificate to confirm they have attended a course at The Sourdough School. Students on the diploma courses are awarded a certificate once they have demonstrated they understand all the principles that have been taught, and are able to apply these in producing a sourdough loaf. At the end of the course, students complete a worksheet and undergo a practical assessment. This is definitely not an exam! But we do take the certification quite seriously so that each student can celebrate the fact that they have a diploma from The Sourdough School. We are here to guide you through the whole course and ensure that every student leaves the school confident and equipped to bake the most delicious sourdough bread. Are the courses suitable for professional bakers? We often get asked if our courses are suitable for professional bakers, or if they are designed solely for the home baker. The courses we offer teach the principles of everything you need to know about sourdough, whether you are a domestic or a professional baker. There are, of course, differences between the two - mainly in scheduling and quantities. But the principles and timings that underpin sourdough baking can be applied equally to a home kitchen or commercial bakery. Vanessa trained and worked as a professional baker, so she is very conscious of scheduling and timings when working with large quantities. She is more than happy to discuss this as she is teaching. During the course we work with 1kg quantities. These can, of course, easily be scaled up in a professional bakery, because we are working with baker’s percentages and ratios. So yes, absolutely, the principles we teach at The Sourdough School are very much applicable to professional bakeries. But please bear in mind that this is classroom-based teaching, and some specific tips and techniques that might be useful in a professional setting will not be demonstrated during the course. Can you answer some questions I have about my sourdough baking? Unfortunately Vanessa is not able to answer individual questions that are emailed. We receive up to 20 questions a day from home bakers looking for advice. Some of these involve very detailed explanations of what they are doing with their starter and their dough. Whilst we appreciate that people want help with their sourdough, we are a small business and simply don’t have the capacity to answer individual questions… there just aren’t enough hours in the day. Vanessa’s book, The Sourdough School, is a comprehensive guide to sourdough, based on her years of baking experience. Reading the step by step introduction to sourdough, and working through the recipes will give you lots of baking practice and should help answer many of the question you have. Consider booking onto one of our 12 month online courses with tuition from Vanessa. There are three courses available, each one suitable for different levels of baking experience. The cost of the course includes a sourdough starter and a ceramic pot to keep it in, 12 months of guided tuition through a wealth of online material, and two skype calls with Vanessa to discuss your progress at key points during the course. These calls are a chance to learn, get lots of baking tips and ask any questions you might have regarding your own sourdough baking. Do we have international students? Over the years we have welcome students from all over the world to the school. Our diploma courses are especially popular with international students. In the past few years we have had students from Europe, the Middle East, North and South America, Asia, and Australasia. It makes for a wonderful mix of cultures and languages in the kitchen while we bake! If you are travelling to the school from overseas, we can give you access to information on how to get here and where to stay, once you have booked your course. What is the maximum number of students that attend a course? My preferred number of students for most courses is 9, especially for the Diploma courses. This is a good balance between having enough people to fill the kitchen and bring plenty of questions and enthusiasm to the course, while still being able to ensure that everyone gets the individual attention they might need. There have been courses where we have taught up to 12 people. It really depends on the length of the course, the techniques we’re teaching and the recipes being used. Occasionally for some more academic courses we teach twelve, however this is the maximum number of people we can accommodate and is for demonstration and discussion rather then hands on; even with 12 the class size is still small. If a course is shown as fully booked on the website we may, in exceptional circumstances, be able to accommodate an extra student. In this case, you would need to speak directly to Vanessa (vanessa@sourdough.co.uk) so that she can decide whether she feels able to offer you a place on the course. Is there a waiting list for the courses? We deliberately limit the number of students on our courses. This is so we can ensure there is time for each student to get some individual attention, and we can tailor the tuition to the interests of a small group. But it does mean that classes get booked up very quickly, and not everyone can get a place on the course they want. We do keep a waiting list for courses once they are fully booked but, to be honest, we find that students rarely drop out once they have booked. Firstly, you can sign up for one of our online courses. Each of these involves a one to one Skype session with Vanessa to get you going, access to detailed online information and a private Facebook forum, and a further Skype session to review how you are getting along and resolve any problems. A second option is to sign up for our email list. You can find the ‘Subscribe Here’ box in the right hand column on our home page. This is the best way to find out about new courses as soon as they are opened for booking. We tend to schedule classes up to 12 months in advance, and email subscribers to let them know as each class becomes available. This might seem like a long way ahead to be thinking, but many of our students travel from overseas and this allows them to book a course that fits in with time away from work or family commitments. We do advise booking sooner rather than later if there is a particular course you’d like to attend – classes are often booked up six months in advance. Our final suggestion is to buy The Sourdough School book. This book was written to help people succeed at making sourdough. It has been carefully designed to guide readers through the sourdough process, covering all the basics and breaking down the sourdough process into stages. And, of course, there is a collection of easy to follow, delicious recipes. To get you started on your sourdough adventure, you can also buy some of the sourdough starter that we use here at the school. Share the post "Everything you need to know about attending the school & more"